New New New, New Everything! Come check out what is arguably the prettiest Villa in Village Green!This cutie has been completely remodeled throughout just waiting for you to move in. Brand new top to bottom with Top of the line quartz counter tops and beautiful wood shaker cabinets, new tile floors that look just like wood, brand new never used yet full kitchen appliances, new paint, new plumbing fixtures, new electrical fixtures and newly installed recessed lighting throughout. Wait!! Just when you think it can't get any better, the title roof is only 5 years old unlike many units in Village Green who still have their very old roofs. The air unit is approximately 6 years old and the water heater is only 4 years old. If you're looking for Maintenance free living this is the one! Exterior maintenance is included in the reasonable monthly fee's along with an outdoor heated pool. There are activities in the community as well and several opportunities for get togethers. Located only minutes to Siesta Key Beach,and Downtown Sarasota. You can easily walk to restaurants and grocery stores if you so choose. Its all about Location, Location,Location, and it doesn't get much better than this for the price!! 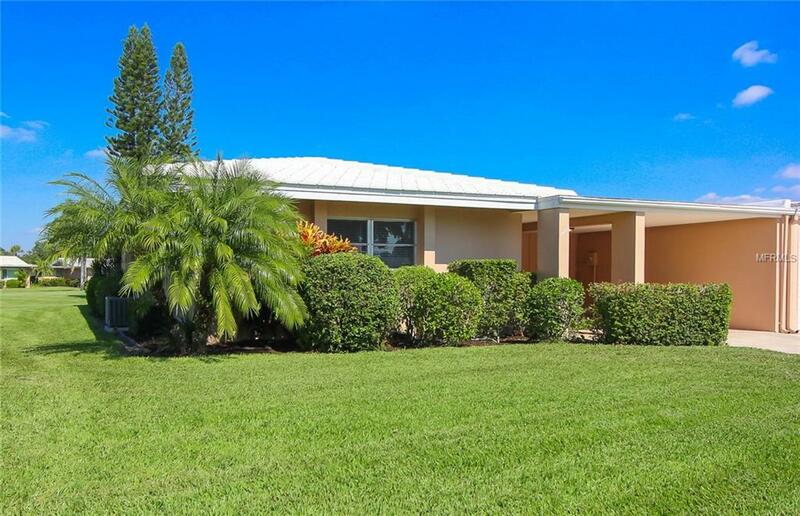 This little retreat located in a quaint Sarasota neighborhood will steal your heart. Why buy an ugly old villa when you can buy one that is like new and skip the renovation process. Make your appointment now to see this lovely villa! Pet Restrictions Restricted To Service Animals Only For Medical Or Emotional Support. Proper identification Required For Service Pets.